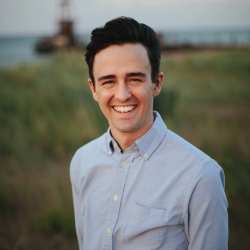 Jake serves as a Catechist at Redeemer Anglican Church in the Albany Park neighborhood of Chicago. He works full-time as a social worker. As a musician, Jake has a heart for arts ministry, seeking to evangelize and raise up disciples with creative callings. Jake is married to Taylor Norris; they have a daughter, Navy, and live in Rogers Park in Chicago.